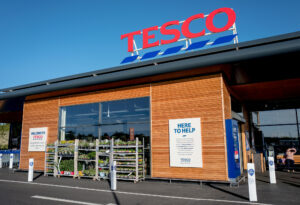 For global retailer Tesco, service is a key attribute. In addition to 7,800 stores (including franchises) in 11 markets, the company maintains an extensive online presence, reaching millions of shoppers each week. Determined to bring a world-class ITSM organization to its customers, Tesco improved its IT force and organized around a Service-Oriented Architecture (SOA). This fundamental change in the service organization required an equally dramatic improvement in its notifications to follow issues from discovery through resolution. Today Tesco’s service metrics show that it is delivering on its promise. [xMatters] changed the way we communicate to technology and the business, allowing people to subscribe to what they care about. And it’s driving accountability and better results. The IT department manages 26,000 tickets per week from distributed operation centers in nine different countries, so tracking the effectiveness of teams and individuals had been a challenge. Notification processes globally were inconsistent, meaning slower response times to issues affecting customers. xMatters really helped us as an organization. It helped us to do the right things for customers, and with the insight we’ve gained we can improve for the future.